This morning I hosted Ten Sleep’s summer school on a field trip. 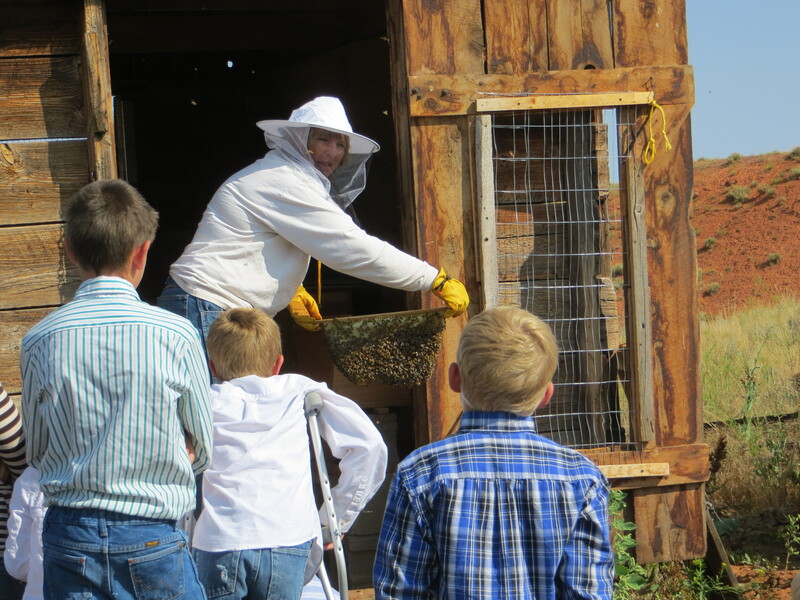 Their focus is on… bees! I decided I could help with that! This kid was SOOO EXCITED. I probably could hire him to be my assistant! 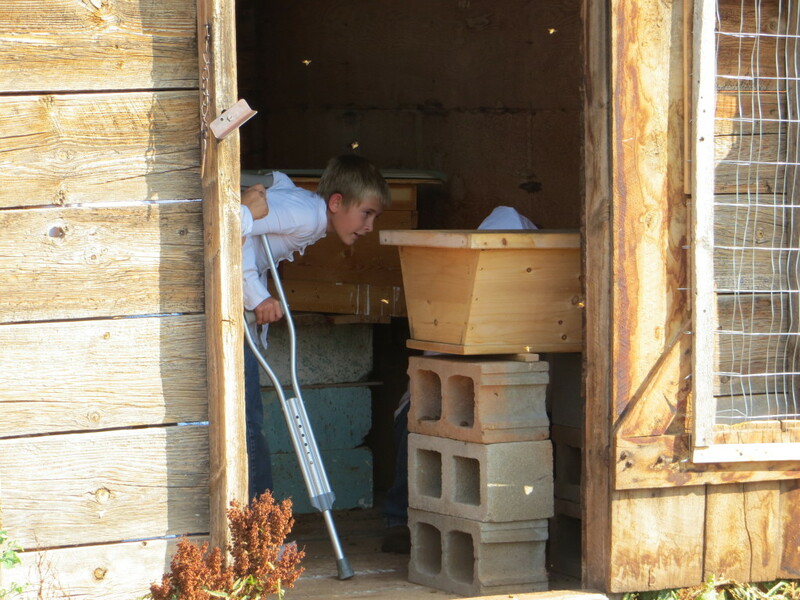 Every kid, except one, took the time to go into the Bee Barn and look in the window of my Golden Mean Top Bar Hive. I’m squatted down, shining the flashlight in, explaining the comb and bees. Here the bees are building a new comb. Isn’t it great how interested the kids were??? There is capped honey on the top of this full sized comb. I had a great time, and I think the kids did too. Thanks, Mrs. E. and Mrs. S. for bringing the kids out! Your summer school is a fantastic opportunity for Ten Sleep’s kids! 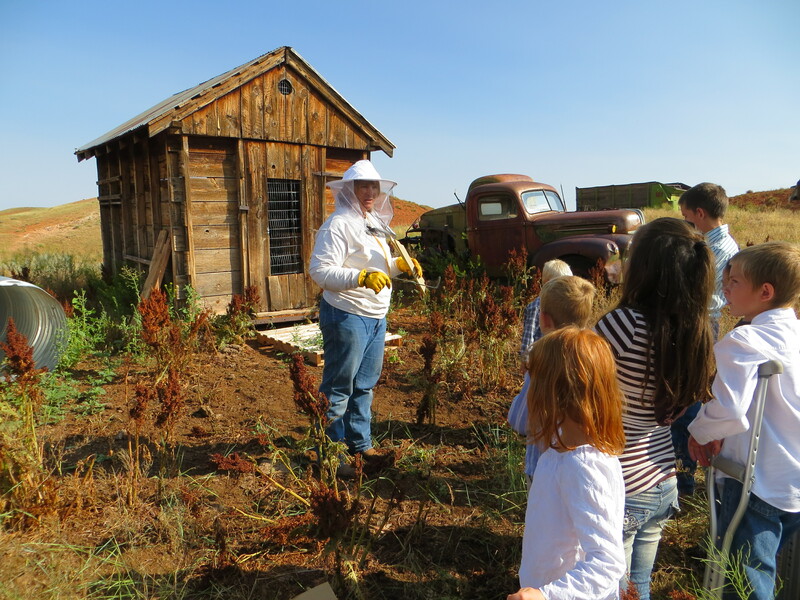 What a great learning experience for the kids…. 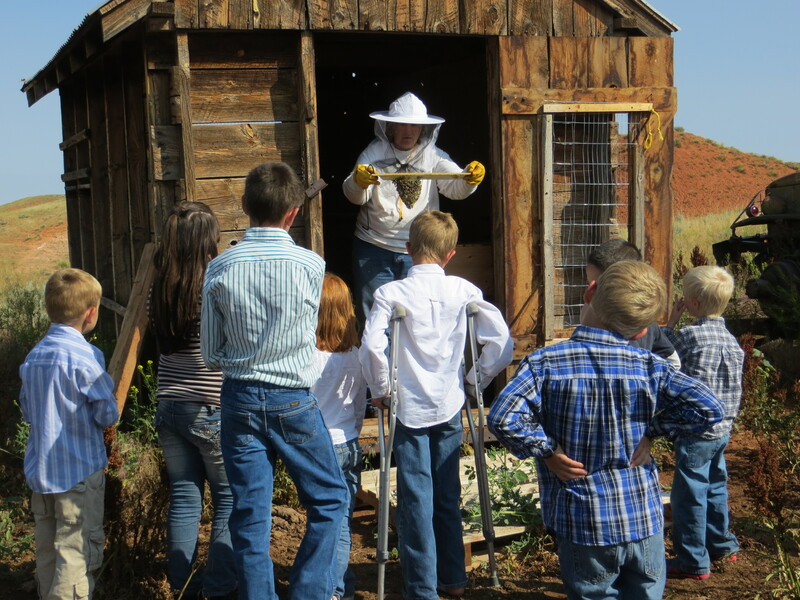 It will help the future of bees by some no doubt… and you had fun too…. You’re an incredible person – patient, kind and so hardworking. Kids are great! Their minds never cease to amaze!